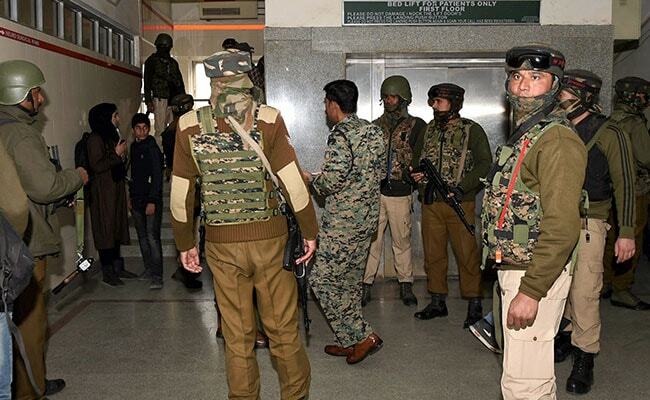 Shots were fired inside a prominent hospital in Jammu and Kashmir's capital Srinagar this morning, killing two police constables. A Pakistani prisoner, Naveed Jutt, who was brought to the hospital for a routine medical check-up, managed to escape. The Shri Maharaja Hari Singh Hospital in Srinagar has been closed and the area has been cordoned off. Emergency services are functioning inside the hospital and the police said that while they are focusing on capturing the prisoner, they are also trying to ensure that patients at the hospital are not disturbed. Naveed, who was arrested in 2014, was involved in several terror attacks in Kashmir, including one in which a teacher on election duty was killed. 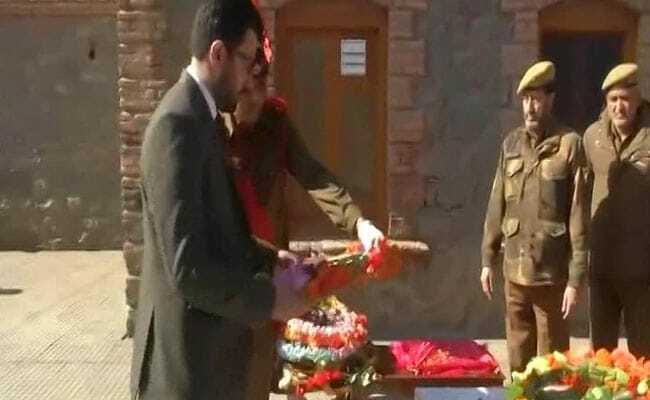 He is also believed to be behind the killing of at least seven policemen, including three near a court house in Pulwama, about 36 km from Jammu and Kashmir capital Srinagar. A policeman guards a road during a search operation after a terrorist escaped from police custody at SMHS Hospital in Srinagar on Tuesday. 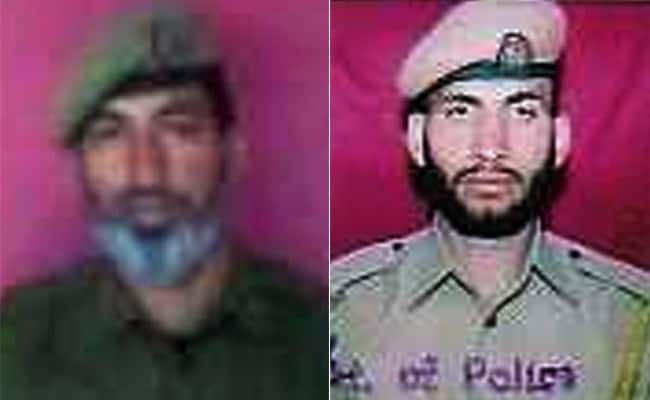 (From left) Mushtaq Ahmad and Babar Ahmad, the two policemen who died in the firing in a Srinagar hospital. One more policeman has died in the Shri Maharaja Hari Singh hospital shooting. The second policeman, who was injured in the firing, died of injuries, news agency ANI reported. "Six prisoners were brought from Srinagar central jail to the hospital for medical check-up. One of them, Naveed Jutt, was from Pakistan. When he was brought to the hospital for check-up, there was an incident... a firing incident. There was somebody close to him who fired at our two constables, injuring them. One of them, Mushtaq, died later. The other is being treated at SHMS Hospital. Naveed escaped amid the firing. The other five prisoners are with us. 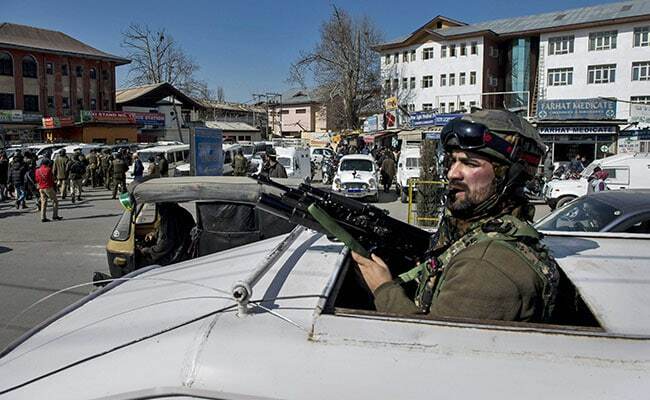 The weapons are also with us," said Imtiaz Ismail, Senior Superintendent of Police, Srinagar. Police report that Naved still has the weapon he took from the police. 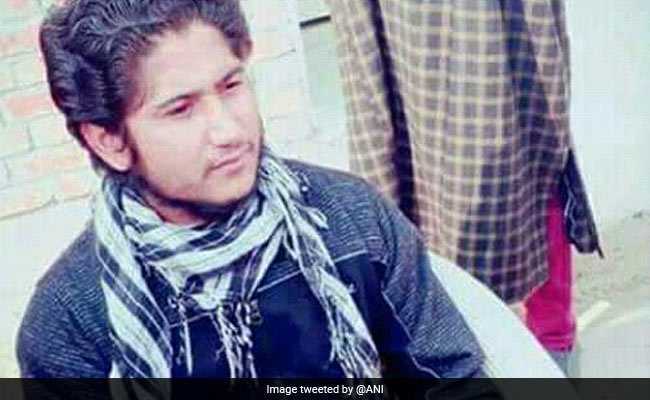 Naved is reportedly a Lashkar-e-Taiba terrorist who was arrested in 2014 for killing a policeman near a court house in Pulwama. The Pakistani prisoner Naved who reportedly snatched a gun from a head constable and shot at policemen before escaping their custody. Emergency services are still functioning inside the hospital and the police said that while they are focusing on capturing the prisoner, they are also trying to ensure that patients at the hospital are not disturbed. 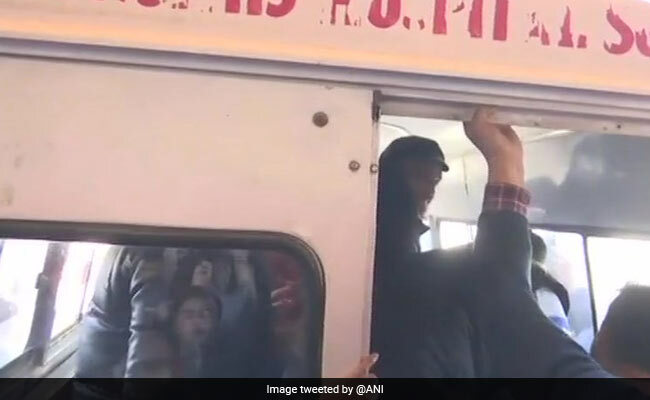 The police are investigating reports that Naved was helped by some people who were already positioned inside the Shri Maharaja Hari Singh Hospital as he was brought there by the police along with five other prisoners this morning. It is not clear whether the Pakistani prisoner, Naved, is still inside the hospital or has managed to flee the premises.